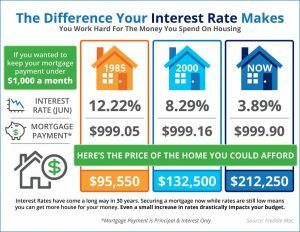 Have you ever wondered what the impact of interest rates are when it comes to purchasing a home? Click the link to check out this very informative infograph. Interest rates are still low…NOW is a great time to make the move and purchase a home!